After his sister died in 1951, James Nelson Gernhart was outraged because relatives wanted to bury her with a low-budget funeral. Hello friends! This is Doug Batchelor. How about an amazing fact? After his sister died in 1951, James Nelson Gernhart was outraged because relatives wanted to bury her with a low-budget funeral. At 75 and alone, "Old Jim," as he was known, wanted to make sure this did not happen to him. He resolved that everybody in the tiny town of Burlington, Colorado, population 2,200, would know that he was going to go out with more dignity. He would have his funeral before he died. When the word got around town, some folks didn't think it was right that Old Jim should have his funeral, when he wasn't even dead. The local school board refused to let him use the community center. Then the singers that Jim had scheduled backed out. Undaunted, Old Jim rented the town armory and he substituted records of his favorite hymns for the singers. Then he went over to the next town and hired Pastor S. H. Mahaffey of the Full Gospel church to officiate. Then he plunked down $3,600.00 of his savings for a solid, copper casket. That was a lot of money back then. Using the papers, Old Jim invited everybody in town to his funeral. Amazingly in spite of all the objections, nearly half the town, more than a 1,000 people, filed into the dimly-lit room, they sat solemnly down on folding chairs, and watched as a hearse rolled up to the door. Eighteen honorary pall bearers formed a double line while eight old friends carried the casket. With a sad expression on his weather-beaten face, Old Jim walked behind the casket, hat in hand. The preacher began his text, "He that believeth in me, thou he be dead, yet shall he live." Old Jim was beaming and tears gathered in his eyes when the recorded strains of Beautiful Isle of Somewhere floated out over the armory. For the next 55 minutes, the service went on with the live corpse very much in evidence. Finally, the piano played Rock of Ages. Old Jim wrote out a $100.00 check for the minister and marched cheerfully out. "Now I don't care what they do with me when I die," he said. "I've got myself fixed up real good." I know this may sound odd friends, but did you know the Bible recommends that you conduct your funeral before you die? Stay with us and we're going to learn more as Amazing Facts brings you this edition of Bible Answers Live. Pastor Doug: Welcome friends, and if you are tuning in for the first time, you've found your way to Bible Answers Live. This is a live, interactive Bible study program. You are welcomed to call in with your Bible questions. We do have lines open right now. If you would like to participate in tonight's program, this would be the right moment to pick up your phone and dial in with your Bible question. Once again, it's a free phone call. It's 1-800-GOD-SAYS. In North America, that's 1-800-463-7297. There are people who are also listening around the world on the world wide web. In a moment, we'll take some Internet questions, as well as some people call in. They have technology to telephone in on the Internet. My name is Doug Batchelor. Pastor Jëan Ross: My name is Jëan Ross. Good evening listening friends and Pastor Doug. It's good to have you back. You were out of town last week, but we're glad you're here today. Before we go further, let's start with prayer. Dear Father, once more as we open up the Bible, as we study Your Word, we ask for the Holy Spirit to give us guidance and wisdom. We recognize that unless You lead, we cannot come to the true, correct understanding of Your purpose and plan. So bless tonight. Be with those who are listening and those who call in. For this we ask in Jesus' name, amen. Pastor Jëan Ross: That was an interesting fact, Pastor Doug, that you started the program with. It's kind of comical, a person having his own funeral before he dies. One wonders what happened when he actually died? What kind of a funeral did he have? Pastor Doug: [Laughs] That's a good question. I didn't find that in the research, but yes, it's a true story. And I understand Old Jim was a very interesting character. Pastor Jëan Ross: Um-hmm, sounds like it. Pastor Doug: And he made up his mind. But you know, it made me think, Pastor Ross, that, in a sense, really the Bible teaches that a Christian must have his funeral before he dies. And what I mean by that is, we must choose to take up our cross and be crucified with Christ. Pastor Doug: You'll find a number of references to this. Romans has the best collection, Romans 6, verse 4; and it speaks, more particularly, of baptism. "Therefore we were buried with him through baptism into death." Baptism is a symbol of death, burial and resurrection. "Then just as Christ was raised from the dead by the glory of the Father, even so we should walk in a newness of life." And you go a few more verses to Romans 6:6, "Knowing this, that our old man was crucified with him, that the body of sin might be done away with, that we should no longer be slaves to sin. For he who has died has been freed from sin. Now if we died with Christ, we believe that we shall also live with him." I heard someone say one time, "If you're born only once, you die twice; but if you are born twice, you die once." Pastor Doug: Now what that means is, if you're only born once, the physical birth, everybody's born that time, you may die the second death it speaks of in Revelation 20. But if you are born twice, you may only die that one death. We could be alive and remain when the Lord comes. Pastor Doug: But, in addition to that metaphor I would say, "You also must die first if you really want to live." That's why Jesus said, "He who wants to save his life will lose it; but he who will lose his life for My sake, he will save it." And so a Christian, when they really repent and surrender, they're conducting their own funeral. They're saying, "I'm not going to live--I'm going to crucify or execute the old man and bury him that I might live a new life." That's what baptism really symbolizes. It symbolizes a burial and a resurrection, a new birth. Maybe our friends have some questions about what does that mean, and what does that symbol mean, and how can I have that new life? Pastor Jëan Ross: We have a free offer. It's a little book written by Joe Crews entitled, "Baptism: Is it Really Necessary?" Pastor Doug, often people ask, "Isn't just baptism of the Holy Spirit enough? Do I really need water baptism?" Well, this little book addresses that topic. "Baptism: Is it Really Necessary?" To receive it, all you'll need to do is call the resource number. It's 1-800-835-6747, and ask for the booklet, "Baptism: Is it Really Necessary?" We have two Internet questions tonight Pastor Doug. The first one: "Do God's angels ever take possession of people like Satan's evil angels do, or demons, in other words?" Pastor Doug: Well when Satan's fallen angels, or demons, possess a person, they can't do that without the person, usually over a period of years, dancing on enchanted ground. 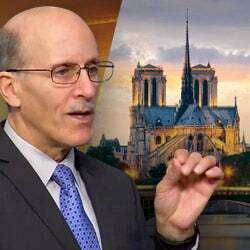 Pastor Doug: They are surrendering their will to the devil through a series of compromises or through persistently refusing the Spirit of God and, sort of, embracing temptation. They can get to the place where they're so overwhelmed by the addiction to sin that they lose that element of their freedom. The devil sort of takes possession of their will. God's angels, they may sometimes work aggressively to save us, such as in the story of Lot, when the angels actually took the hands of Lot and his wife and his two daughters, and led them out of the city to save them. But God's angels don't force our will. They'll make strong impressions. Sometimes we'll think that the Lord is impressing our heart; and God may actually be speaking to us through His angels, or leading us through His unseen messengers. So often, we give the credit to--someone will say, "Well the devil tempted me," or "Jesus lead me." Generally, the devil doesn't personally work with people. He works through his fallen angels; and generally, God is working through His Spirit and His angels to deliver, to guide, to save. So, they may speak to our minds, but they can't enter our hearts in the same way Jesus does. Pastor Jëan Ross: Okay, thank you. The next question, it's one that has probably puzzled a lot of people. It's a story found in the book of Judges, and it's chapter 11. The story is about a man by the name of Jephthah. And the question is, "Did Jephthah offer his daughter as a burnt offering?" Now Pastor Doug, you might have to fill in a little bit of the background on that. Pastor Doug: Well, Jephthah was one of the judges of Israel. As he prepared to go in battle against the Ammonites, he vowed and said, "Lord, if you give me victory in this battle, it will be that when I come home, whatever comes out of the gates I will offer as a burnt offering. When he made that vow, it was very typical when a man came home--everybody had his own little home. They often, in their yard, had their goat and their cow and their sheep. I used to have goats and when I came home, they'd run out to meet me. And he probably thought well it would be his cow, it'd maybe be his goat, or maybe his sheep, and he would offer it to the Lord. When he came back victorious in the battle, his daughter came out. And it says, "he did unto her as he had vowed." Well some people think, "Isn't that awful, that he would offer his daughter as a burnt offering?" Well you read on in the story and it tells us that his daughter, when she discovered what he had vowed, she said, "Give me a couple of months to bewail my virginity," not her life; because he was going to take her to the temple and consecrate her to God. He wasn't going to offer her as a burnt offering. It never says he burned her or stabbed her with a knife or anything like that. He dedicated her to God. It was an insult, and it was against the law of the temple, to bring a human sacrifice; so he never did that. And then you read on. It says that the daughters of Israel would go up yearly to bewail with Jephthah's daughter, to remember Jephthah's daughter. Well, it tells us when Samuel was brought and dedicated to the temple, his mother came up yearly and brought him a little coat. So on a yearly basis, the other daughters in Israel would come and spend time and honor her for dedicating her life. And then you can read in the New Testament where Anna, it says, "who served the Lord in the temple for 80 years from her virginity." And so, basically, he dedicated his daughter, but he never had any offspring. She never married; and that's why it was especially a difficult sacrifice. He only had one daughter. Pastor Jëan Ross: Okay, well thank you very much, Pastor Doug. That makes sense. 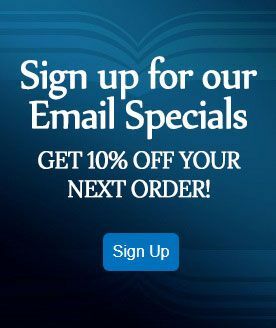 Friends, if you have a question you'd like to email to us, you can do so at the Amazing Facts website, www.amazingfacts.org. There is a link that says, "Contact Us" and you can just submit a question; and we'll try and read it on the air and give you a Bible answer. We're going to go to the phone lines now. Bryant is listening on the Internet from Hobbs, New Mexico. Bryant, welcome to the program. Bryant: How are you doing brother? Bryant: Yes I was wondering, is disobedience a sin, and if it is a sin, I was wondering how did Eve know how to separate herself from Adam before sin had entered into the world and directly disobey God? Pastor Doug: Well of course, the primary sin of Eve and Adam was God had explicitly told them, "Do not eat of the forbidden tree." And when Adam and Eve ate of that forbidden fruit, that was a high-handed disobedience of God's command. Bryant: Okay. How did she know how to sin before it had entered the world? Pastor Doug: Well I don't think she was trying to deliberately sin; but they knew that to disobey their Creator was sin. You know, part of it, I think, comes from understanding that when God made Adam and Eve, He probably made them--they were created with an understanding of language. They came, somewhat, pre-programmed with a certain amount of knowledge and understanding from the very beginning. He didn't make them as babies where we normally go through those processes of learning and growing and development. Adam and Eve came pre-programmed, so to speak, hardwired with a certain amount of comprehension. They knew that that was sin. Well first of all, before they sinned, did they have the Holy Spirit? Pastor Doug: Well, probably; because if they're sinless, then you would think they'd be spirit-filled. So, here they had the Spirit guiding them; and I'm sure the Spirit was impressing them that this is wrong, don't do it. But they resisted the voice of the Spirit and did what they wanted. Bryant: So then they separated themselves from God. They didn't sin, right? Pastor Doug: Well, separating yourself from God is a sin. Pastor Doug: Because see, God is the epitome of perfection and holiness. Going in the wrong direction, or the opposite direction of God, is the opposite of that. So, yeah, Adam and Eve did sin when they did that. Thanks. I appreciate your question. It's thought-provoking Bryant. Pastor Jëan Ross: Our next caller is Ramone listening on the Internet from Pennsylvania. Ramone, welcome to the program. Ramone: Hey, how are you guys doing? Ramone: Hey Doug and Ross, I have a quick question. It's about when Jesus was about to be arrested, you remember when they were looking for Him and they asked Him, "Who is Jesus of Nazareth?" and He answers, "I am." And then virtue (inaudible) pops out of Him. I want to know if there is any spirituality (unintelligible) of that to the point where--what was the purpose of Him doing that? Pastor Doug: Well, there's a key phrase that Jesus uses more in the Gospel of John than anywhere else; and you're quoting from the Gospel of John where He's arrested. He said, "I am he." Now that phrase, "I am," those were the words that God, Jehovah, used at the burning bush with Moses when he said, "What is Your name? Who shall I say sent me?" He said, "I AM THAT I AM." "I am the self-existent one." The Jews who would come to arrest Him, they understood that He was the one. And so Christ was making a prophetic statement, as well as simply identifying which person. You know, it was a darkened area there on the mountain orchard when they're looking at these dimly-lit faces in the flickering light of their lamps and saying, "Which one is Jesus of Nazareth?" When Christ said, "I am he," a flash of glory emanated from Him because He had, basically, just stated the name of Jehovah. And the Jewish nation had been looking for Him for 2,000 years. When Christ said, "I am he," at that moment, that flash of glory knocked them to the ground. So there was a prophetic statement that He was the one that the nation had been looking for. So what did they do when they found Him? They took Him and they handed Him over to the Gentiles and He was crucified. Ramone: Oh, thank you very much. Pastor Doug: Yeah--and pay special attention when you read through John how often you'll notice the "I am." God will say, "I am the water," "I am the way," "I am the truth," especially in the Gospel of John. Jesus uses the phrase, "I am" quite a bit. Ramone: Right. In the Last Supper in the King James Version I believe is the one that puts it more readily. Ramone: Thank you for answering my question. Pastor Jëan Ross: Alright, appreciate your call. Next caller is Robert listening on WMCA from Bloomfield, New Jersey. Robert, welcome to the program. Robert: Hi, good evening Pastor Ross and Pastor Doug. And my question is concerning a loving Creator, a loving heavenly Father, why would He have the um--this kind of perplexed me--why would He have the Israelites go and commit genocide against the Amalekites and the Canaanites, down to even the children, the infants and even the animals? I mean, what was the logic behind that, and the justification behind that? Pastor Doug: Alright. That's a question we frequently get because it seems like, here, if God says, "Thou shalt not kill," then why would He order the nation? And the primary example I think you're thinking of is when He sent King Saul to, basically, exterminate the Amalekites. Robert: Yeah. And the children especially, and the infants. Pastor Doug: Yes, and the animals. Pastor Doug: That's right. They weren't to leave a single thing alive. Well I know it seems pretty brutal. For one thing, being transported back to that time, there was an ongoing war between the Amalekites and the Israelites that had gone on for years. Matter of fact, when the children of Israel came out of Egypt, the first nation to attack them was the Amalekites. They were a very barbaric, and, kind of, bloodthirsty people. They attacked the old, and the weak, and the children of the children of Israel that were straggling out of Egypt. That's that story when Moses held up his hands and Joshua led the people against the Amalekites. Pastor Doug: Several times along the way, it was the Amalekites that destroyed the town of Ziklag and kidnapped David's family, King David. So there was an ongoing war with these people. And basically, God knew that if any of them survived, they, from childhood, vowed to spend their lives in annihilating Israel. Robert: Even to the infants, and the animals? Pastor Doug: Yes--yeah well the animals were probably diseased, some of them. But they, basically, were told to be obliterated. Pastor Doug: And it was a judgment, and it was in the interest of their preservation, and a signal. I know it seems pretty tough. Pastor Jëan Ross: You know, another thought to add to that is, when the children of Israel, or the seed of Jacob, Joseph, of course, went to Egypt first and the family went. Abraham had been told by God before that, that his descendants would go down into Egypt until the iniquity of the nations in that area, which eventually Israel took, was full. 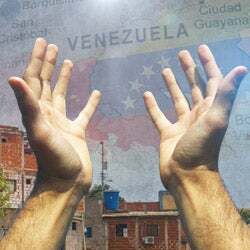 So it seemed as though God, in His mercy, was trying to reach these nations; but there was a point that they had passed when there was nothing that God could do to reach them. And they would continually be a thorn in the side of Israel and a stumbling block. Pastor Doug: Another example that you might think about, Robert, is you don't even need to look at when God sent the Israelites against the Amalekites. When God sent the flood in Noah's day, animals, women, children, old, young perished. Anyone who was not in the ark perished. Pastor Doug: So, whether God sends that judgment through nature, or through a nation in war...one other thought that came to me is, the Amalekites, not only did they inbreed among themselves, God did not want the Israelites intermarrying with that people, even in the years to come. Robert: Does the Bible say they inbred? 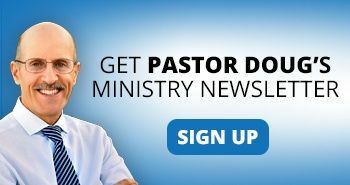 Pastor Doug: No. That's not in the Bible. That's just in history. Pastor Doug: But the Bible does say God told them not to marry the heathen nations around them. Robert: So, in a way, it might have been done for their own good also? Pastor Doug: Yeah. I think it was an act of mercy. Robert: Oh okay. Alright, well thank you for answering my question. Pastor Doug: Alright, thanks Robert. Robert: Have a good evening. Pastor Jëan Ross: Joann is listening on WMCA from Brooklyn, New York. Joann, welcome to Bible Answers Live. Joann: Hi, good afternoon guys. Pastor Doug: It's alright. It's afternoon somewhere [chuckles]. Joann: My question is as Christians, can we, like, live without sinning? Is it possible--I know God asks for holiness for, people of holiness. Can we live without not sinning? Pastor Doug: Here's the question. "Will God ask you to do the impossible?" Pastor Doug: Well, in a sense, when God told Peter to walk on the water, would you normally think that's possible? Pastor Doug: No. But did Jesus ask Peter to do it? Pastor Doug: Was Peter able to do it, as long as he looked at Jesus? Pastor Doug: When he took his eyes off Jesus he wasn't able to do it. Pastor Doug: God asks us--and I'm looking now in the New Testament, 1st Peter 1:16, "Because it is written, Be holy; for I am holy." God is calling us to godliness. He will never ask us to do something He will not grant us the power to do. Now, here's what's really at the heart of the question; and you're asking one of the most important questions Joann. Pastor Doug: Do you believe the devil can tempt us to sin? Joann: No, it's our will. Pastor Doug: Well no, no--I'm not saying, "make us sin." It's not a trick question. Doesn't the devil tempt us? Pastor Doug: Alright. So you believe the devil can tempt us to sin? Pastor Doug: Yeah. I do too. I'm not trying to trap you. So most people believe that the devil can tempt us to sin. Why would we think that Jesus can't keep us from sin? If the devil can lead us towards disobedience, why don't we believe that the Lord can lead us towards obedience. If the devil can trip us up, then can the Lord hold us up? And, it really boils down to do we have more faith in the devil's ability to tempt us, or Jesus' ability to keep us? Pastor Jëan Ross: You know, there's a verse in Jude chapter 1, verse 24 that says, "Now unto him that is able to keep us from falling, and to present us faultless," or "present you faultless before his presence with exceedingly great joy." Here, Jesus is spoken of as being the one who is able to keep us, or keep you, from falling. That gives us hope. Pastor Doug: You know Joann, we've got a booklet that is right up the alley of your question. Pastor Doug: And it's called, "Is It Possible to Live Without Sinning?" It's a wonderful book. It has great promises and Scriptures in it by Joe Crews. I'll be happy to send that to you, if you'd like a free copy? Pastor Jëan Ross: Um-hmm. All you'll have to do, Joann, just call our resource number, 1-800-835-6747, and ask for the little book called, "Is It Possible to Live Without Sinning?" by Joe Crews. It's a great resource. Pastor Jëan Ross: Alright, do we have time for one more? Pastor Doug: Yeah, one more I think. Pastor Jëan Ross: Alright. Let's take a look before we go on our break here. Marvo, listening on WMCA from Queens, New York. Marvo, welcome to the program. Marvo: Hi, good evening Pastor. Marvo: My question is, before Jesus came to the earth, how did God decide which people go to heaven or hell? Pastor Doug: Well actually, the way God saves people has not changed as much as some might think. Everybody is saved by faith. I've heard people say something that's really preposterous, that "people in the Old Testament were saved by works and people in the New Testament are saved by grace." That's really blasphemous. Nobody is saved by works. Abraham believed God, and God counted it unto him for righteousness. In other words, Abraham was declared righteous by his faith. See, the people in the Old Testament, Marvo, were saved by faith, looking forward to the cross. That's every time a Jew sacrificed a lamb, they knew that, someday, God would send Himself as a Lamb. Even Abraham said this to his son, "God will provide Himself a Lamb." They were saved by faith, looking forward. We are now better off because Jesus actually came. We know it. It's a reality. It's a fact. We're saved by faith, looking back. So everybody is saved by faith. See what I'm saying? Pastor Doug: Yeah. They were saved by faith in looking forward to the coming of the Messiah. And we're saved by faith looking back at the cross. Everyone is saved by the cross. Nobody is going to get in heaven and say, "Well I had a special coupon so I got a discount; and it's part works and part faith." Everybody is there by grace. Pastor Jëan Ross: You know Pastor Doug, in the New Testament, you referred to that verse where it says, "Abraham believed God, and it was counted unto him for righteousness." I'm just looking at it here on the computer. It's mentioned three times. Pastor Jëan Ross: And of course, if something is mentioned more than once in the Bible, it's significant. If it's mentioned three times, it's very, very important. Pastor Doug: "The mouth of three witnesses." Pastor Doug: You know Marvo, we've got a book; and it's called, "What Must I Do to be Saved?" Oh actually, it's "Three Steps to Heaven." Pastor Doug: "Three Steps to Heaven." If you'd like a copy of that, we'll send you a free copy. Pastor Jëan Ross: All you'll have to do, Marvo, is call the resource number. It's 1-800-835-6747, and ask for the booklet, "What Must I Do to be Saved?" and we'll be happy to send that out to you. Our next caller is Steve listening on the Internet from Illinois. Steve, welcome to the program. Steve: Well thank you. Good evening Pastors. Steve: I had a question. Occasionally, you come across people who just want to, instead of focusing on salvation and forgiveness, want to focus on some of the minutia and stuff. And, I guess, one that I'm having trouble with is Mark chapter 6, verses 7 and 8 and Matthew 10, verses 7 through 10, where it talks about taking a staff in Mark, and not taking a staff in Matthew. What's the best way to defend these kinds of things? Like I said, you know, I'll tell people, "You're missing the big picture," but they, kind of, stick on that stuff. Pastor Doug: Well you know, actually some of these apparent discrepancies strengthen my faith in the Bible. And, keep in mind, Jesus ministered three and a half years. In some of His discourses that He gave in one town, it would be slightly different as He gave it to another town. Now, I've done evangelism. As I travel from place to place, I might say things a little differently, based on the needs of that community. And, it could be that one time when He sent them out into the village ahead of them, He said Don't even take your staff. Another time He said, well, you know, Take your staff. It's steep country. So, it's a good question; but really, it's irrelevant with theology. Pastor Jëan Ross: --and they bore testimony. Pastor Doug: That's a good point. Alright friends, we are going to just take a break. We have some important announcements for you. If you have a pencil, I'd like to encourage you to get something to write with nearby. You need to check out the new Amazing Facts website. It is just fantastic; the incredible Tree of Life that you'll find there, with link after link of study material! That address is, amazingfacts.org. Stay tuned. We'll be back with questions. Pastor Doug: We are back, and we are live. This is Bible Answers Live, and we do have some lines open. Do you have a Bible question? Give us a call. We'll do our best to address your Bible questions from the Word of God tonight. That number again is, 1-800-GOD-SAYS, 1-800-463-7297. My name is Doug Batchelor. Pastor Jëan Ross: My name is Jëan Ross. Pastor Doug, I forget the exact number, maybe you'll remember it; but we're on well over 300 stations broadcasting Bible Answers Live across the country and many folks listening on the internet in different countries. I know there's a group in New Zealand that likes to listen to Bible Answers Live. But tonight we have two new stations that we'd like to welcome to the broadcast. Pastor Jëan Ross: Both in Nebraska: KGMT 1310 AM in Fairbury, Nebraska and then KWBE 1450 AM in Beatrice, Nebraska. So if anyone is listening on these two stations, we'd love to hear from you. You can call our number directly here to the studio. It's 1-800-463-7297, and you can get your question on the air. Pastor Jëan Ross: You know, we also want to briefly mention halfway through the program some of the websites that we have; some great resources for people studying the Word of God, wanting to learn more. One, in particular, that is very helpful is, prophecycode.com, or .org. Pastor Doug: Yeah, that's right; both .com and .org. People have a lot of questions about Bible prophecy. And at that website, there are 10 presentations--no actually I think it's 20 presentations. Pastor Doug: It's ten DVDs. That's what threw me. There are 20 presentations. They can watch the video streaming dealing with Bible prophecy. These were recorded before a live audience in Washington D.C. And there are a lot of resources and study material. There are lessons that you can go along with online, and links. If you'd like to better understand the dependability of Bible prophecy, and how it applies to life today, and how it will affect and influence your life, prophecycode.com. Pastor Jëan Ross: Okay. We'll go to the phone lines. Henrietta is listening on KJNN from Holbrook, Arizona. Henrietta, welcome to the program. Henrietta: Thank you. Doug, has the sanctuary always been in heaven? Or was it there after we sinned? Pastor Doug: That is a good question. The sanctuary is the dwelling place of God. Before man sinned, the idea of blood being offered in the sanctuary, well that wouldn't make any sense because sacrifices are for sin. Now, the earthly sanctuary was all built up around an altar where animals were sacrificed. And the whole journey of the earthly sanctuary--it starts with the door, where you bring your sacrifice. After it was offered there, they would burn it on the altar. The priest would cleanse and walk into the Holy Place, sprinkle some blood from that sacrifice. I mean, so the whole movement, from the door, through the courtyard, through the Holy Place, into the Most Holy Place, it's a journey back to God where you're bringing blood. God's dwelling place in heaven, evidently after the fall of man; the ministry of Christ as our Advocate and High Priest, changed the nature of His dwelling place. It's where the great controversy is being resolved between Christ and Satan. So before sin, there would be no need for sacrifice. Henrietta: That's what I thought; and it, kind of, confused me, you know, that it was built--ours down here was built similar to that one in heaven. Henrietta: There was no sin there, except for Satan. Pastor Doug: Yes. Something evidently changed after sin entered our universe, because of the rebellion of Lucifer. Pastor Jëan Ross: You know, something else to add to that, Pastor Doug. In Revelation, the last two chapters, chapters 21 and 22, they describe heaven and so on. And it says there that John did not see the temple in heaven. Pastor Jëan Ross: --for the Lamb and God is the temple thereof. So the purpose of the temple had been met. The temple dealt with sin and brought a sinner, saved, cleansed, into the presence of God. Pastor Doug: And now God dwells with us; and so His people are His temple. Henrietta: Oh okay. Well, thank you. Pastor Doug: And Henrietta, for you, and anyone else that might be interested, we have a special study guide dealing with the sanctuary. It's called, God Drew the Plans. Pastor Jëan Ross: To receive that, call the resource number, 1-800-835-6747. You can ask for the study guide, God Drew the Plans, dealing with the sanctuary and explaining it. You know Pastor Doug, there is so much tremendous truth in the sanctuary. Sometimes we think it's some Old Testament teaching that's not very relevant for us today; but there are so many things we can learn from the sanctuary. Pastor Jëan Ross: Our next caller is Peggy listening from Wisconsin on WMEQ. Peggy, welcome to the program. Peggy: I, too, am a fairly new Christian. I heard your previous caller and my question--I maybe should know this, but I just don't. When we receive the Lord, or born again, and the blessing of baptism, though, is not given right away when we attend a church. Peggy: So are we baptized into Christ, or into the religion? Pastor Doug: Well, I'm going to give you a third option; and it, maybe, is filling in what you're looking for. When you are baptized, the Bible says we are baptized into Christ. The church is called the body of Christ. So, for us to be baptized and not be part of the body of Christ, is a contradiction. Pastor Doug: Yeah. You become part of the body of Christ. And if we're baptized and we don't get involved in ministry somehow in the body of Christ, we usually dry up. When Christ was baptized, He began His ministry right away. Pastor Doug: And so, when we are baptized, we become members of the body of Christ. And so for a person to say, "I'm a new Christian, but I'm just going to stay home and do my own thing," well that would be similar to a man saying to a young lady, "You know, I want to get married, but you're not going to see me anywhere. I'm just going to be on my own. We don't have to live together, do we?" Well, then it stops being much of a marriage. Peggy: I understand now. I didn't get there on my own. Thank you. Pastor Doug: Well great! Hey, we'll be happy to send you our study guide tonight dealing with baptism called, "Baptism: Is It Really Necessary?" Because I believe the author goes into that question. Pastor Jëan Ross: To receive that, all you'll need to do, Peggy, is call our resource number, 1-800-835-6747. Ask for the offer, "Baptism: Is It Really Necessary?" And for our listeners, we do have a few lines that are open at this time, so this would be a good time for you to call if you have a Bible question. The number to call right here to the studio is, 1-800-GOD-SAYS. That's 1-800-463-7297. Kay is listening on WMCA from Bronx, New York. Kay, welcome to the program. Kay: Hello Pastor Doug, and good evening. Kay: My question is about polygamy. I read in the Bible that God gave David the wives of many other nations. And it also says in the Ten Commandments that, "Thou shalt not covet thy neighbor's husband," but it doesn't say that you can't covet--I mean not...you can't covet thy neighbor's wife; but it doesn't say you can't covet thy neighbor's husband. So I was wondering if marrying more than one woman is alright? Pastor Doug: Well, God, originally, defined what His plan was when He made man. He did not create a harem for Adam. He made a woman. And that's His perfect plan. Because of sin, during uh, you know, a number of dark ages of history, so many of the men were killed in battles that sometimes the women outnumbered the men seven to one. Matter of fact, you can find that in Isaiah chapter 4, verse 1: "In that day seven women will lay hold of one man." So polygamy took off, and it began to be justified; but it was never part of God's plan. So by the time the Ten Commandments are being given, when God said, "Thou shalt not covet thy neighbor's wife," God gives all of the Commandments in, primarily, the patriarchal perspective. It starts out saying, "Honor your father and your mother." It doesn't say, "Honor your mother and your father." So, when it talked about not coveting your neighbor's spouse, it used the term of, "Do not covet your neighbor's wife," because the men were to be the priest of the family and to make sure that the Word of God was implemented. Jesus said if a man looks on a woman, to lust after her in his heart, it would also stand to reason it's wrong for a woman to look after a man and lust in her heart just as well. The principle is the same. Kay: I thought as much, but I was a bit confused because of the wife [laughs]. Pastor Doug: Yeah. Well when you get to the New Testament, it becomes a little clearer. And Paul says that an elder, a bishop, should be the husband of one wife because even back then, they had some polygamy still. Kay: Okay, well thank you. Pastor Doug: Alright. Thank you Kay, appreciate your question. Pastor Jëan Ross: April is listening on KHNN from Arizona, from Bullhead City. April, welcome to the program. April: Hi, how are you? Pastor Doug: Hi, very well, and your question? April: My question is in Genesis 3:15, it's about how God said He put enmity between the woman and between his [the serpent's] seed and her seed. "And it shall bruise thy head and thou shalt bruise His heel." April: And also, in Revelation, they talk about a woman with the stars and the moon? Pastor Doug: Yes, that's Revelation 12. April: And how he's going to go after the woman and her seed to make war. April: Is that a connection? And also, it doesn't sound like the woman would be the church to me. It sounds like a woman. Pastor Doug: Well, you're very perceptive. Those two verses, the first prophecy in the Bible is Genesis 3:15 where God says that the seed of the woman would bruise the head of the serpent. 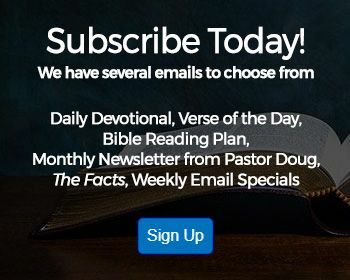 Pastor Doug: Yes, and when you get to Revelation chapter 12, it talks about this war between the seed of the woman called, Michael, and the dragon, and the ultimate defeat of the dragon. The dragon is cast out of heaven. April: Right. But it just seems like a woman to me because this one is Eve in chapter 3:15. And every woman seems like a woman. I've never really read where the woman is a church. Pastor Doug: Well some examples of that would be when Paul says, "Husbands, love your wives," is that Ephesians? "...even as Christ loves the church", Ephesians chapter 5. In 2nd John, he writes in that letter, "From your elect sister." He's writing from one church to another church and he refers in the feminine. And so it was very common for them to identify the church in the feminine. Matter of fact, God says, "The daughter of Zion," which was the church, "is like a comely and delicate woman." And He calls her His bride in the book of Hosea. So, all through the Bible symbols and analogies, the church is identified as a woman. So Revelation 12 is, very certainly, a picture of God's church as a woman. Matter of fact, hey, you know what we really ought to be sending to April, Pastor Ross, we've got a lesson that's got that picture on the cover. I just spaced out. Pastor Jëan Ross: The Bride of Christ! Pastor Doug: Exactly! The Bride of Christ. April, ask for The Bride of Christ when you call. It has a picture of the woman in Revelation 12; and the whole lesson is on that study. Pastor Jëan Ross: To receive that, April, call our resource number. It's 1-800-835-6747. Ask for the study guide, The Bride of Christ. It deals with Revelation chapter 12. We're going to go to Jay now, and he is calling from Columbus, Ohio. Oh, hang on a minute. I don't think Jay is there yet. Pastor Doug, you know when we talk about the subject of the bride of Christ, Revelation also describes in Revelation chapter 17, another woman. You just mentioned that a woman in Bible prophecy can represent a church. But not every woman in Bible prophecy represents a church. Pastor Doug: Right. Not every woman is a good church. Pastor Jëan Ross: Well that's true, yeah. Pastor Doug: The woman in Revelation 17, she is also a church; but she's not a good church. Matter of fact, we've got a lesson on that just as well. We've got one lesson called, The Other Woman, and that's Revelation 17. And we just mentioned a minute ago we have a whole lesson on Revelation 12 called, The Bride of Christ. But they both represent churches. One is faithful. She's the epitome of the faithful, pure bride of Christ. And the other one is, well, sometimes referred to as the "scarlet harlot of Revelation." She is a sample of the unfaithful church, or unfaithful religion. Pastor Jëan Ross: So if anyone would like to learn more about both Revelation chapter 12 or Revelation chapter 17, you can ask for those study guides, The Bride of Christ, or, The Other Woman. And to receive that, again, let me give you the resource number. It's 1-800-835-6747. That's the resource number. The number here to the studio is, 1-800-463-7297. Our next caller is John and he's calling from Columbus, Ohio. John, welcome to the program. John: Hi, thanks for taking my call. John: Yes, my question is I ran into a messianic Rabbi, those that uh, the Jews that believe that Jesus was the Messiah. John: And my question is they were saying, "Well why don't Christians adhere to all of the Commandments?" And I can say they were, kind of, referencing the verse of John where Jesus says If you love Me, then do my Commandments. They said, well Christians don't, ah you know, they don't adhere to all the Commandments, just those that they deem necessary. Pastor Doug: Well, there were some Commandments that the New Testament clearly explains are fulfilled in Christ. For example, what would be the point in a Christian sacrificing a lamb? I'm also a messianic Jew. I repeat it from time to time because we always have new listeners. My mother was Jewish; and I'm a Christian now. So I guess you would say I'm a messianic Jew. Pastor Doug: But there's no sense in sacrificing lambs because Christ is the Lamb now and it would, sort of, be a denial of believing He is the Lamb of God. Pastor Doug: This is why when Christ died on the cross, the veil was rent in the temple from top to bottom. This is why Christ said There will not be left one stone upon another in the temple. That's where the sacrifices were offered. All of the ceremonial laws connected with the temple and its services, they were written on paper and they were nailed to the cross. The Ten Commandments, on the other hand, were written by God's finger on stone. They are part of the eternal, moral law for all people. And you can find the principles in the laws that should still be kept; they will predate Moses. John: I [tape skips] that. They didn't seem to um, you know, for example, they said, "Well, you know, if you look at the apostles, the apostles--you know--they kept the feast days and numerous other things as well. That stuff is done away with. Why would they do something that wasn't, you know, quote/unquote, 'necessary'"? Pastor Doug: Well, there's certainly nothing wrong--if someone wants to keep the feast days, then, well you know, help yourself. Of course, it's awful hard to keep the Passover and sacrifice a lamb and put the blood on your door! Not to many people still do that. And some of the feast days required going to Jerusalem to the temple. Well there's no temple there. Very few Christians, or Jews, take that pilgrimage to Jerusalem. So, Paul also says in Romans 14, "One man regards one day above another: another man regards every day alike," he's speaking, in particular, of the Jewish feast days there. Pastor Jëan Ross: You know Pastor Doug, in the Bible, we have four types of law, four categories. We have the moral law, the Ten Commandments. Then you have the ceremonial law, which was connected with the temple and the sacrificing of the lambs. Then you have the civil laws, which help to govern the nation of Israel under a theocracy. And then, of course, the health laws. And out of those four groups of law, you have the civil laws, which the principles are still valid today in a country that follows those basic principles; but yet, we're not under a theocracy as the Jewish nation was. Then, of course, you find that the ceremonial laws pointed to Jesus. They came to an end when Jesus died. But the health laws, the principles of the health laws, are still valid today; and likewise, the moral law. Pastor Doug: And there's some of the law that, of course, predates Moses. Pastor Doug: You know, John would probably enjoy our book. We've got two things. One, there's the study guide, Written In Stone, about the Ten Commandments. But even more important, we've got a new edition of the book, Feast Days & Sabbaths. Pastor Doug: That Feast Days & Sabbaths I think you'd really appreciate, John. And you can read that and then go visit with your messianic Rabbi. Pastor Jëan Ross: Let me give you that number John. It's 1-800-835-6747, and you can ask for the little booklet, Feast Days & Sabbaths. And you can also get the study guide at the same time called, Written In Stone. Our next caller is Tim, listening on WMCA from Queens, New York. Tim, welcome to the program. Tim: Alright, how are you doing? Pastor Doug: Okay, how are you? Pastor Doug: Well, there are natural disasters and fires that have happened all through history. One of the things Jesus says in Matthew 24 when He's talking about the signs of His return, He said, "There will be wars, and rumors of wars, but the end is not yet." In other words, when you see wars and calamities, don't automatically think, "This must be it," because there's going to be all kinds of distress of nations and things, up until the end of time. The bombing of Dresden, Germany, the fires there were a lot more apocalyptic. As bad as it was in Southern California, and I was born down in Burbank, the bombing of Dresden was a lot more apocalyptic. Matter of fact, I thought it was interesting and sort of bizarre that, right on the tail end of these California fires, where a lot of property was lost but there was just a handful of lives, there was one house that burned on the East coast, where seven students died. And that filled the news just as much as the California fires because the human loss of life was comparatively small for the scope of damage. So, you know, all of this, I think, works together to show us that we are living in the last days, Tim. But I would not single out the California fires. It's just one of many signs that the whole creation is groaning and travailing. Pastor Jëan Ross: Alright. Our next caller then is Ricky, listening on KOPG from Minnesota. Ricky, welcome to the program. Ricky: My question is who is Michael in the Old Testament? Pastor Doug: Very good. Now Michael is not only in the Old Testament. You'll find reference to Michael, as well, in the New Testament. Before I go too far with this question, Ricky, I'll also tell you we have a book that we'll send you. And as soon as we're done with our question, don't forget to ask for, "Who is Michael the Archangel?" We'll send it to you because it has a lot more than I could say briefly. Very quickly, Michael is one of the Old Testament names, prior to the Incarnation of Christ, for Christ. Nowhere does it call Michael an "angel." It calls Him the "archangel." And the word "angel" there means "messenger." He is the Highest Messenger. Now, when you do a little studying on Michael, you'll find out that all of the characteristics of Michael fit Christ. For instance, in 1st Thessalonians chapter 4, it tells us, "The Lord himself will descend from heaven with a shout, and the voice of the archangel." The Lord has the voice of the archangel. Daniel chapter 12 tells us that when Michael stands us, there's a great resurrection. Well, who is "the Resurrection and the Life"? And as you go through all the different evidence, it tells you in the book of Jude, I think it's verse 9, there's only one chapter, that it's Michael who comes to resurrect Moses. Pastor Jëan Ross: He's the archangel there. Pastor Doug: Yeah, so, then when you get to Revelation 12, there's this war between the dragon--now the word "dragon" there is a symbolic name for Lucifer; everyone knows who the dragon is--between the dragon and Michael. Well if the word "dragon" is a symbolic name for the devil, then it stands to reason Michael is a symbolic name for the Prince of good, which is Christ. Pastor Jëan Ross: You know, sometimes that verse you mentioned in Jude 9 could throw people off because it says Michael is the archangel; but it's not saying that Michael is an angel. He's the "arch," or the "ruler" of the angels. He's the one above the angels. Pastor Jëan Ross: I want to make that very clear. Pastor Doug: Yeah, some people think that. And this is not just our theology. The great theologians, like Matthew Henry and others, believed that Michael was one of the pre-Incarnation ways that Christ would reveal Himself. Did that help a little Ricky? Ricky: Yeah. So that would probably mean that the book of Enoch, the so-called book of Enoch, is probably a false book of the Bible, right? Pastor Doug: Well, the book of Enoch is not included in the Canon of Scripture. There are some things in it that are probably true, because even,--is it Jude?--quotes from the book of Enoch. Yeah, "Enoch, the seventh from Adam, prophesied of these...." I actually found that in the book of Enoch, so it is there. But it's not included in the Canon of Scripture. Paul also quoted from poets; but it didn't mean that they're supposed to be a part of the Scripture. Pastor Jëan Ross: Yeah. I think there's enough evidence in Scripture. Just looking at the verses Daniel 12:1, Jude 1:9, 1st Thessalonians 4:16, and John 5:28, which make it very clear that Michael is another name for Jesus. Pastor Doug: Yup. And don't forget to ask for the book, "Who is Michael the Archangel?" --anyone who may want to know. Pastor Jëan Ross: Call the resource number for that, 1-800-835-6747, and ask for, "Who is Michael the Archangel?" Debra is calling from Brooklyn, New York, listening on WMCA. Debra, welcome to the program. Debra: This is my first time calling. Pastor Doug: Well we're glad you called in, and your question Debra? Debra: Where it says, "I know thy works, and tribulation, and poverty, (but thou art rich) and I know the blasphemy of them which say they are Jews, and are not, but are the synagogue of Satan." Does that refer to the Jews of the day? Pastor Doug: Good question. I don't know that we've ever had that before. See, everyone who is saved, Debra, becomes, at least, a Spiritual Jew. The Bible says, "If you are Christ's, then you are Abraham's seed." Some people were claiming to believe in Christ that Revelation is addressing, but they were not part of the church of Christ. They were counterfeits; and that's why He says that they're from the synagogue of Satan. But every real believer, every real Christian, is grafted into the stock of Israel. Pastor Doug: Physical circumcision, right. Pastor Jëan Ross: --one of the heart, one who has given himself to Christ. Romans 9:6 and 7 and Galatians 3:28 and 29. All of these verses make it very clear that in the New Testament, the spiritual nation of Israel represents those who give themselves to Christ. Pastor Doug: Yup. And for Debra, we have a free book we'll send you, and it's called, Spiritual Israel. If you just call the number and ask for, Spiritual Israel, we'll send you a copy, a lot more information on your question. Pastor Jëan Ross: Well Pastor Doug, I hear the music there in the background. Pastor Doug: Yeah, you'd think it would be beautiful music, but it always makes us sad when we hear that. Hey friends, don't change the dial just yet. I just want to take a moment and thank you again for tuning into Bible Answers Live. We've got so many friends out there that are listening. We meet people everywhere we go. They say, "Oh, we listen," but they don't tell us. We need to hear from you. If you've been a listener and you've never contacted us, we'd love to hear from you. All you'll need to do is drop us a line. We'll give you the address in just a moment. Or just go to the website. Very simply, amazingfacts--it's fun to go to Amazing Facts--amazingfacts.org, and click on the button that says, "Contact Us." Just say, "Hey, I've been listening to Amazing Facts, and I sure appreciate your program." We just want to know you're out there. If you have suggestions, we're always open to ways of anything we can do to make the program better, to be more edifying, and to hold you up. And that's why we do this friends. We want to distribute the truth. Jesus is the truth. And as we spread the good news about Christ, and as we reveal the different points of truth, they help you get to better know His character, because He is the truth that will set you free.